COASTLINE REAL ESTATE HOLDINGS, INC.
On December 31, 2014, Plaintiff Coastline Real Estate Holdings, LLC filed the instant unlawful detainer action. A two hour bench trial was conducted on September 8, 2015, and the court awarded possession to the Plaintiff. Judgment was entered on October 7, 2015. The time to file an appeal was November 6, 2015, because the matter was filed as a limited action. Additionally, the deadline to file the present Motion For Attorney’s was November 6, 2015, pursuant to California Rules of Court Rule 3.1702(b)(1). However the Motion was not filed until December 4, 2015. As such, the Motion was filed almost one month after the deadline and for that reason alone must be denied. Plaintiff now seeks the award of $227,084.50 in attorney’s fees. The Declaration of Attorney Richman at Paragraph 19 specifically alleges that he expended 769.85 hours “in this matter.” However, when you review the charges, the hours were actually incurred for by other parties (Western Commercial Bank, Pacific Western Bank), in entirely different actions. The assertion of 769.85 hours by Plaintiff’s counsel related to this action is an intentional misrepresentation pursuant to California Rules of Professional Conduct 5-200(b). Additionally, the identical charges were already disallowed in a prior motion in a different action, and therefore are barred by collateral estoppel. Even worse, Defendant redacted in its Motion what attorney services were performed and the amount of time which was expended in completing those tasks. As a result, even if Plaintiff was entitled to recovery attorney’s fees for this case, based on the information served on Defendant, it is impossible to determine: (1) the nature of the service provided, (2) whether that service was necessary, (3) the amount of time which was expended to complete the service, and (4) is the amount of time and charge a reasonable fees for the “alleged” services. Given the foregoing, the Motion must be denied. II. THE MOTION IS UNTIMELY FILED. The unlawful detainer action was filed as a limited action, the Plaintiff paid the filing fee for a limited action, and the defendants likewise paid the filing fees for a limited action. The action was tried as a limited action. Judgment was entered on October 7, 2015. The parties did not enter into a stipulation to extend the time for Plaintiff to file its Motion for Attorney’s Fees. 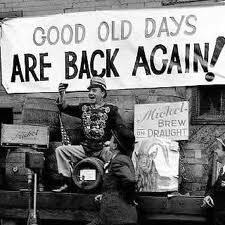 Plaintiff filed the instant Motion on December 4, 2015. As such, the Motion was filed almost one month after the deadline and for that reason alone must be denied. STATUTE AND MUST BE DENIED. Plaintiff Coastline Real Estate Holdings, LLC purchased the position of Pacific Western Bank. Defendants believe that Plaintiff is a wholly owned subsidiary of Pacific Western Bank. The Bank is only entitled to an award of attorney fees in this matter if a contractual provision exists which provides for such an award. The Bank argues that the construction trust deed contains an attorney provision which provides it with a basis for attorney fees. However, the deed only permits an award of attorney fees by a court “[i]f Lender institutes any suit or action to enforce any of the terms of this Deed of Trust, Lender shall be entitled to recover such sum as the court may adjudge reasonable as attorneys’ fees at trial and upon any appeal.” (Emphasis added). Only actions which the “Lender institutes” are subject to the attorney’s fees provision and this action was not brought by the lender. The Bank has made no argument for the extension of the plain language of the provision which would encompass the current suit and as such it has not demonstrated it is entitled to fees under the construction trust deed. Lender may hire or pay someone else to collect this note. Borrower will pay Lender that amount. This includes, subject to any limits under applicable law, Lender’s attorneys’ fee and Lender’s legal expenses, whether or not there is a lawsuit, including attorneys’ fees, expenses for bankruptcy proceedings (including efforts to modify or vacate any automatic stay or injunction), and appeals. Borrower will also pay any court costs, in addition to all other sums provided by law. This was not a suit brought to collect the note. While “that amount” includes attorney fees and legal expenses, there is no indication that the court is authorized to make an award of these fees and expenses as a result of the current litigation. The Promissory Note does not indicate that the prevailing party in an action such as this is entitled to reasonable attorney fees. The Bank also points to the assumption agreement as a basis for fees. It allegedly provides that “[i]f any lawsuit, arbitration or other proceedings is brought to interpret or enforce the terms of this Agreement, the prevailing party shall be entitled to recover the reasonable fees and costs of its attorneys in such proceeding.” This lawsuit didn’t involve the interpretation or enforcement of the terms of the assumption agreement. Santisas v. Goodin (1988) 17 Cal.4th 599 is of no help to the Bank as it involved an expansive attorney’s fee clause that clearly applied to the suit and the question was whether Civil Code §1717(b)(2) thwarted its application. That is not the case here.” A true and correct copy of the Tentative Ruling is attached hereto as Exhibit “1” and is incorporated by this reference. Notwithstanding the court’s prior Order denying the very same attorney’s fees, Plaintiff in the instant action once again argues the identical points and seeks fees which are unsupported, unreasonable, and which are untimely. As such, the Motion for Attorney’s fees must be denied. NATURE OF THE SERVICES ALLEGED. The Declaration of Attorney Steven N. Richman contains an attachment which purports to be a listing of the attorney services which were provided. However, a summary inspection shows that the listing of services, the time incurred for such service and the amount charged for such services have been redacted. As such, Plaintiffs cannot determine the propriety of: (1) the nature of the services provided, (2) whether those services were necessary, (3) the amount of time which was expended to complete the services, and (4) whether the amount of time and charge is a reasonable fee for the particular service rendered. Attorney fee shifting statutes and contractual provisions usually provide only the right to recover “reasonable attorneys’ fees” incurred as a result of the litigation. In order to determine the reasonableness of the fee award requested, courts generally start with the “lodestar amount,” which is the reasonable number of hours spent on the litigation multiplied by the reasonable hourly rate. Serrano v. Priest, 20 Cal.3d 25, 48 (1977); Thayer v. Wells Fargo Bank, N.A., 92 Cal.App.4th 819 (2001). Once this amount is determined, the court can take into consideration additional factors to adjust the “lodestar” either up or down as appropriate. Such factors include: the novelty or difficulty of the issues involved in the case and the skill required to present those issues; the extent to which the nature of the case precluded the employment of other attorneys; and the fee arrangement of the attorney and the client. Serrano, 20 Cal.3d at 48; Thayer, 92 Cal. App.4th at 833. The party seeking the fees has the burden of proof to establish that the time spent and the hourly fee charged is reasonable. Levy v. Toyota Motor Sales, U.S.A., Inc., 4 Cal.App.4th 807 (1992). This particular case was an unlawful detainer action, the trial lasted two hours, the trial presented no novel issues, nor did it require herculean efforts. The case was disposed by bench trial within two hours. As such, although Defendants believe that no right to attorney’s fees exists in this matter, if the court is going to award attorney’s fees, then Movant has failed to prove the reasonableness of the fees requested. Given the foregoing the Motion should be denied. In a perfect world, a debtor’s bankruptcy would involve timely reporting, good faith filings, and full disclosures. Unfortunately, some debtors either enter the process under a cloud of suspicion or make decisions during the process that suggest the estate has been compromised by fraudulent activity. Whether the alleged fraud is a complex bust-out scheme or a simple unreported asset transfer, the debtor may face a serious investigation. Depending on the extent of the allegations, the investigation could be referred as a criminal matter to federal prosecutors. As the severity of the consequences increases, so does the need to have mindful counsel, and possibly an expert witness. This article attempts to help the reader identify and react to suspicious activity. It will discuss the basic types of fraudulent activity that can derail a bankruptcy proceeding or result in a criminal indictment. By the time this activity is discovered, all interested parties will be racing for leverage. Although bankruptcy fraud schemes can simultaneously violate, or even be just a subset of, many other fraudulent schemes (e.g., tax fraud, wire fraud, mail fraud, credit card fraud, etc.) that violate federal law, this article is limited to the most commonly recognized forms seen in a bankruptcy context: concealment of assets, false filings, and statutory fraud. A. 18 U.S.C. § 152. Concealment of assets; false oaths and claims; bribery. This statute consists of nine crimes, all of which require proof of “knowingly and fraudulently” doing something in a bankruptcy context, namely: (1) concealing property of the debtor’s estate from the court; (2) making a false oath; (3) committing perjury; (4) presenting a false proof of claim against a debtor’s estate; (5) receiving property from the debtor’s estate with the intent to circumvent bankruptcy proceedings; (6) taking a kickback for forbearing on a claim against the debtor; (7) while acting as an agent, transferring or concealing property of an individual debtor or corporation; (8) “cooking the books” to hide a debtor’s financial affairs; and (9) withholding property or financial affairs from the United States Trustee or court. B. 18 U.S.C. § 157. Bankruptcy fraud. (c) makes a false or fraudulent statement in connection with a proceeding under title 11 or a proceeding the defendant falsely asserts is pending under title 11. II. Will You Know It When You See It? There are times when bankruptcy fraud allegations are straightforward. For example, whether a debtor or debtor’s agent shredded documents to hide the transfer of unreported property that belonged to the debtor’s estate is not complex. Other situations are trickier, such as a debtor perpetrating an investor pyramid fraud (Ponzi scheme) or a debtor concealing or grossly undervaluing an estate asset. Sometimes fraudulent planning, cover-ups, insider transfers, and long-term asset structuring has been in process for months or years prior to the bankruptcy. Regardless of the complexity of the scheme, counsel must be mindful that suspicious activity is best learned up front, and accordingly handled through the discovery process by way of written documents, depositions, Rule 2004 examinations, and expert consultation. These more “designer” fraud cases include (1) bust-outs, (2) bleed-outs, and (3) looting. In a bust-out scheme, a company is set up and builds a decent credit line while holding themselves out to be a reputable business. At first, transactions are small, but by design demonstrate the company can cash flow and reliably service its debts. Once the company’s owners are satisfied that enough reputation and credit building has occurred, vendors are then blitzed with orders for goods, along with a promise of repayment within, for example, 90 days. Once the goods are received, the company sells them and does not appropriate the proceeds to its creditors. The company stalls its creditors for as long as possible, then finally files its bankruptcy petition. The bankruptcy schedules reveal the company to be a low-asset, high-liability operation. This type of scheme is common in connection with distributing consumer products. A bleed-out is most often an inside job, where corporate managers, directors, or officers emaciate a company’s value through insider asset transfers. The company is not necessarily established for the purpose of carrying out a bleed-out, and may not even be in financial distress. However, like any company, its vulnerability is exposed when collusive insiders have control and subordinate the company’s success to their personal gain. Commonly, an insider, or group of insiders, enter into transactions on behalf of the company with the purpose of redirecting a business asset in favor of the insider and to the prejudice of the company. For example, money could be thrown at a fledgling subsidiary that happens to be controlled by an officer who also serves as an officer for the company being depleted. Often these transactions are document-intensive, well-planned, and hidden to reduce the risk of exposure. In other words, simply looking at the statements and schedules will not typically reveal a bleed-out scheme. Looting can be one of the most brazen types of bankruptcy fraud. A bankruptcy looting scheme typically involves a debtor’s failing company selling its assets pre-petition to a non-failing company without disclosing to the court the debtor’s involvement in the transaction. The debtor often carries out the fraud by representing that a disinterested buyer has been located, when in fact the buyer is a mere extension, “shell”, or agent of the debtor. By design, the terms of the sale appear legitimate, not unreasonably beneficial to the debtor, and are met with satisfaction by the creditors. The company then either closes its doors or files a Chapter 7 bankruptcy to liquidate and administer any remaining estate. Although looting could theoretically occur during a sale process within a bankruptcy case, Section 363 of the Bankruptcy Code affords a process that should enable creditors to determine whether any sale is reasonable, in good-faith, and proposed at arms’ length. III. Now That You Have Spotted Fraud (Or Think You Have), Is It Time To Retain An Expert? Counsel is charged with knowing the law and being able to spot facts that implicate the application of the law. If the facts suggest there would be merit to a fraud investigation, forensics can become the secret weapon to determine whether fraud or criminal activity has occurred. An expert can be an invaluable resource that uncovers previously hidden facts, challenges the proof of the counterparty, and provides an evidentiary roadmap that counsel can use to represent the client. 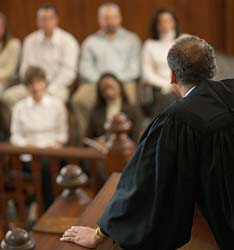 Once the decision is made to reach out to an expert, there are several considerations to process before making the call: (1) who is the right consultant; (2) what will the expert do for the team; (3) how much will the expert cost; and (4) what is the role of counsel once an expert is engaged. Before discussing these considerations in more detail, the absolutely fundamental realization must be that once the facts show an expert is needed, counsel cannot delay in retaining the expert. It is crucial that the expert be on board early and given the time and opportunity to succeed. A. Who is the right consultant? There are countless experts that label themselves as “bankruptcy fraud experts.” Some are former law enforcement officers, others specialize within fraud subsets (e.g., real estate equity skimming, theft of employee contributions for health insurance, etc. ), and others are credentialed certified fraud examiners. Although not required in every situation, forensic experts are trained to analyze a set of facts with the thought that their actions will be scrutinized in court. When determining who (or which firm) is best for a given situation, it is imperative to find out (a) if the expert has ever handled this type of case before; (b) the resources that will be available to the expert; (c) the expert’s workload and reputation within the community; and (d) if the expert could effectively explain the case in a courtroom and be subject to cross-examination. B. What will the expert do for the team? The scope of the services an expert provides entirely depends on the facts of a given case. Although experts are trained to think outside the box and do not strictly adhere to a checklist, there are patterns of behavior or sources of information that have historically yielded results. Experts have an arsenal of tactics at their disposal, but their ability to deploy them depends on several factors. First, the client’s financial situation may be restrictive. In these situations, it is important to make the expert aware of a cost ceiling and find out how much “bang for the buck” the client will receive. Some experts are willing to provide a role assessment and cost analysis without the client incurring an obligation or fees. In addition to financial limitations, experts cannot use the full range of their skills unless they have a sufficient amount of time to operate. Investigations and requests for information can be time-consuming, so engaging an expert as early in the process as possible can help ensure that the client is given the full benefit of the expert’s abilities. C. What is the expert’s workload and reputation? The expert must be able to make the client’s case a top priority. When inquiring about the expert’s workload, this is a great time to discuss communications, frequency of updates, and availability to conduct the investigation in advance of known deadlines in the case. As for reputation, a reliable indicator is always the expert’s former clients and counsel. Any proficient expert will be happy to provide this information. It is often helpful to go one step further and contact the counsel that opposed the expert’s position. This counsel, usually assisted by the opinion of another expert, will have a firm grasp of the expert’s abilities. D. Can the expert effectively convey the client’s position? After meeting with the expert, ask yourself if this person is someone that will help the presentation of your case. Not necessarily just with the court, but also in leveraging a settlement by presenting a reasonably acceptable position to the counterparty. The level of education, amount of training, number of cases worked, experience testifying, and mannerisms are all going to be known or visualized by the fact-finder. If these factors will present a problem from a credibility perspective or during cross-examination, continuing the search may be in the client’s best interests. The decision to hire an expert can be difficult, but if such a decision is made the focus should shift to finding the right person for the client’s needs. There often exists a correlation between the client’s success and the proficiency of the expert. It is therefore incumbent upon counsel to ask questions and spend time researching and performing due diligence to place the facts of the case into the hands of a well-qualified expert. Bankruptcy fraud is a billion dollar industry. The number of ways debtors defraud creditors and the courts is seemingly countless and growing each year. Although some types of fraud are more complex than others, effective bankruptcy counsel must be able to recognize and react to situations involving fraud. Depending upon the complexity of the situation, recruiting an expert may be a vitally important component to the success of a case. The surprising decision by regulators to scrap a massive and expensive foreclosure review program in favor of a $10 billion settlement with 14 banks — reported by The New York Times Sunday night — came after a year of mounting concerns about the independence and effectiveness of the controversial program. The program, known as the Independent Foreclosure Review, was supposed to give homeowners who believe that their bank made a mistake in handling their foreclosure an opportunity for a neutral third party to review the claim. It’s not clear what factors led banking regulators to abandon the program in favor of a settlement, but the final straw may have been a pending report by the Government Accountability Office, a nonpartisan investigative arm of Congress, which was investigating the review program. Rep. Brad Miller, a North Carolina Democrat, told The Huffington Post that the report, which has not been released, was “critical” and that the Office of the Comptroller of the Currency, which administers the review, was aware of its findings. Miller said that that one problem the GAO was likely to highlight was an “unacceptably high” error rate of 11 percent in a sampling of bank loan files. The sample files were chosen at random by the banks from their broader pool of foreclosed homeowners, who had not necessarily applied for relief. The data suggests that of the 4 million families who lost their homes to foreclosure since the housing crash, more than 400,000 had some bank-caused problem in their loan file. It also suggests that many thousands of those who could have applied for relief didn’t — because they weren’t aware of the review, or weren’t aware that their bank had made a mistake. Some of these mistakes pushed homeowners into foreclosure who otherwise could have afforded to keep their homes. Miller said the news that a settlement to replace the review was in the works caught him by surprise, and stressed that he had no way of knowing whether the impending GAO report had triggered the decision. It’s not clear what will happen to the 250,000 homeowners who have already applied to the Independent Foreclosure Review for relief. The Times, citing people familiar with the negotiations, said that a deal between the banks and banking regulators, led by the Office of the Comptroller of the Currency, could be reached by the end of the week. It wasn’t clear how that money would be distributed or how many current and former homeowners who lost their homes to foreclosure — or who were hit with an unnecessary fee — might qualify. Since the housing market crashed in 2007, thousands of foreclosed homeowners have complained that their mortgage company made a mistake in the management of their home loan, such as foreclosing on someone making payments on a loan modification plan. The Independent Foreclosure Review emerged from a legal agreement in April 2011 between 14 mortgage companies and bank regulators over these abusive “servicing” practices. It was supposed to give homeowners an opportunity to have an unbiased third party review their foreclosure and determine whether they might qualify for a cash payout of up to $125,000. The initial response was tepid, at best. Homeowners and advocates complained that the application forms were confusing and that information about what type of compensation they might get was missing. Some told HuffPost that they were so disillusioned by the federal government’s anemic response to widely reported bank errors that they weren’t going to bother to apply. In one instance, Daniel Casper, an Illinois wedding videographer, applied to the program in January after years of combat with Bank of America over his home loan. As The Huffington Post reported in October, he was initially rejected, because, according to the bank, his mortgage was not in the foreclosure process during the eligible review period. Promontory Financial Group, which Bank of America hired to review his loan, apparently did not double check Bank of America’s analysis against the extensive documentation that Chase submitted. That documentation clearly showed that his loan was eligible for review. In recent months ProPublica, an investigative nonprofit, has issued a series of damning articles about the Independent Foreclosure Review. The most recent found that supposedly independent third-party reviewers looking over Bank of America loan files were given the “correct” answers in advance by the bank. These reviewers could override the answers, but they weren’t starting from a blank slate. Banks, if they did not find a “compensable error,” did not have to pay anything, giving them a strong incentive to find no flaws with their own work. Richard Castaldo survived the shooting at Columbine High School 13 years ago and now he is fighting to <a href=”http://www.huffingtonpost.com/2012/11/27/richard-castaldo-columbine-foreclosure-occupy-la_n_2198146.html?utm_hp_ref=business&#8221; target=”_hplink”>rescue his home from foreclosure</a>. The people of Occupy Los Angeles are helping Castaldo and others like him to save their homes. The USDA foreclosed on 78-year-old Texas resident Alicia Ramirez, reportedly <a href=”http://www.huffingtonpost.com/2012/08/06/alicia-ramirez-cancer-eviction_n_1747933.html?utm_hp_ref=business&#8221; target=”_hplink”>after she was diagnosed with cancer.</a> While the USDA has thus far allowed Ramirez to remain in her home, a court order evicting the senior citizen could be issued at any time. The Vercher family of Woodstock, Georgia, offered to give away a <a href=”http://www.huffingtonpost.com/2012/10/25/vercher-family-woodstock-craigslist-foreclosed_n_2017738.html?1351188857&#8243; target=”_hplink”>number of household items in a Craigslist ad</a> after their house was foreclosed on. Instead, they ended up losing nearly all of their belongings when people began taking items from inside the house. Terminal breast cancer patient Cindi Davis could no longer keep up with her mortgage payments due to the cost of her medical bills. Faced with media scrutiny, her lender <a href=”http://www.huffingtonpost.com/2012/09/14/wells-fargo-forecloses-cancer-patient-cindi-davis_n_1883956.html?1347635836&#8243; target=”_hplink”>Wells Fargo told a local radio station it was seeking “assistance”</a> for Davis just weeks before setting the date to auction her home for December 19th, 2012. After she and her husband were allegedly duped into a bad loan, California mom Sheri Prizant faced the possibility of being evicted from her home on Mother’s Day, <a href=”http://www.huffingtonpost.com/2012/05/11/sheri-prizant-eviction-mothers-day_n_1507681.html?1336741860&#8243; target=”_hplink”>MSNBC</a> reports. Shock Baitch and his wife Lisa of Connecticut <a href=”http://www.huffingtonpost.com/2010/12/30/bank-of-america-foreclosure_n_802861.html&#8221; target=”_hplink”>were threatened with foreclosure by Bank of America</a> after never missing a payment. BofA mistakenly told credit agencies they were seeking a loan modification. “Now I am literally and financially paying for it,” Baitch told <a href=”http://ctwatchdog.com/finance/bank-of-americas-christmas-present-foreclose-even-though-not-a-payment-missed&#8221; target=”_hplink”>CTWatchdog.com</a>. Facing foreclosure, Perry Laspina of Jacksonville, Florida ended up with a home practically for free after his mortgage lender was shut down by parent company Wells Fargo, <a href=”http://realestate.aol.com/blog/2011/04/14/foreclosure-foul-up-wins-man-a-free-home/&#8221; target=”_hplink”>AOL Real Estate reports</a>. Laspina got the home “because of the significant decreased value of the property,” a bank spokesman said. 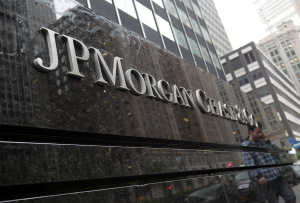 In Boynton Beach, Florida, Bank of America filed a foreclosure lawsuit against the owner of a building that houses one of its own branches, <a href=”http://www.bizjournals.com/southflorida/news/2011/05/27/foreclosure-roundup.html?page=all&#8221; target=”_hplink”>South Florida Business Journal reports</a>. A Massachusetts man was told he’d <a href=”http://www.huffingtonpost.com/2011/06/08/massachusetts-homeowner-receives-foreclosure_n_872518.html&#8221; target=”_hplink”>face foreclosure unless he paid an outstanding mortgage payment worth $0.00</a>. “I’m going to write a check to them for zero dollars and have it clear? I couldn’t help but laugh,” he joked with local <a href=”http://www.wwlp.com/dpp/news/i_team/I-Team:Man-gets-a-$0-foreclosure-notice&#8221; target=”_hplink”>News 22 WWLP</a>. Chris Boudreau of Brooksville, Florida <a href=”http://www.huffingtonpost.com/2011/07/06/florida-home-ransacked_n_890656.html&#8221; target=”_hplink”>told local news that his house was ransacked by his mortgage company</a>, 21st Mortgage Corporation, who he says even shredded his wife’s wedding dress. “When she saw what happened…she was crying her eyes out,” <a href=”http://www.wtsp.com/news/local/article/199268/8/Mans-home-trashed-by-mortgage-company&#8221; target=”_hplink”>he told WTSP 10 News</a>. Brian and Khanklink Pyron of Houston, Texas were <a href=”http://www.huffingtonpost.com/2011/10/10/brian-khanklink-pyron-foreclosure_n_1003339.html&#8221; target=”_hplink”>threatened with foreclosure despite keeping current on their payments due to an untransferred title</a>. 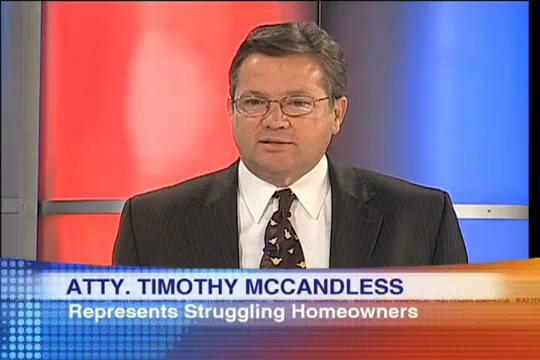 “We did everything we were supposed to do,” Brian Pyron told <a href=”http://www.myfoxhouston.com/dpp/news/local/110926-family-hit-by-surprise-foreclosure?CMP=201110_emailshare&#8221; target=”_hplink”>MyFoxHouston</a>. Brad Gana, of Seabrook, Texas was threatened with foreclosure by Bank of America even though his <a href=”http://www.huffingtonpost.com/2011/10/31/foreclosure-crisis-bank-of-america-hurricane-ike_n_1068080.html&#8221; target=”_hplink”>house had been completely destroyed years earlier in Hurricane Ike</a>. 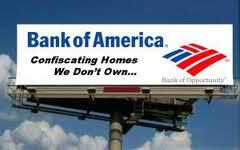 “Bank of America is ruthless in their incompetency,” <a href=”http://www.click2houston.com/news/Bank-Forecloses-On-Home-Destroyed-By-Ike/-/1735978/4718190/-/vpooliz/-/index.html&#8221; target=”_hplink”>he told Houston 2 News</a>. 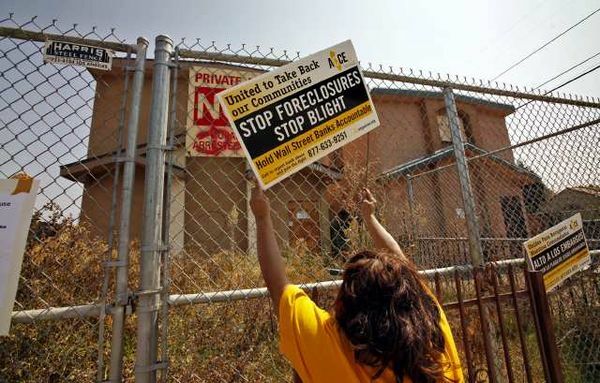 Utah’s Shantell Curtis and her family were threatened with <a href=”http://www.huffingtonpost.com/2011/11/03/bofa-foreclosure-missing-1-already-sold-home_n_1074538.html&#8221; target=”_hplink”>foreclosure by Bank of America on a home they had already sold years prior</a>. On top of that, the whole episode concerned the matter of just a $1 coding error. George Knapp, chief investigative reporter for Las Vegas CBS affiliate KLAS, found he was a <a href=”http://www.huffingtonpost.com/2011/11/29/foreclosure-crisis-investigative-reporter-george-knapp-victims_n_1119480.html?ref=business&#8221; target=”_hplink”>victim of the very brand of foreclosure fraud he was investigating</a> for a news report. Him being the reporter, the episode put him in a “very weird spot,” <a href=”http://www.poynter.org/latest-news/als-morning-meeting/153585/local-tv-station-tackles-mortgage-mess-as-investigative-reporter-discovers-hes-a-victim-too/&#8221; target=”_hplink”>he told the Poynter Insitute</a>. 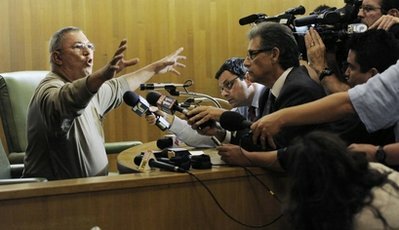 Robert Galanida, a 41-year-old man paralyzed from the shoulders down, <a href=”http://www.huffingtonpost.com/2012/01/12/bank-of-america-sends-false-statements-paralyzed-eviction_n_1202463.html&#8221; target=”_hplink”>battled Bank of America for nearly a decade</a> because it repeatedly sent him false statements threatening foreclosure. In January 2012, actor Tracy Morgan reportedly refused to give his mother <a href=”http://www.huffingtonpost.com/2012/01/31/tracy-morgan-foreclosure-mother_n_1244641.html&#8221; target=”_hplink”>$25,000 she needed to avoid foreclosure</a>, instead offering only $2,000. The Bank of America Plaza in Atlanta was sold at a foreclosure auction in February after its landlord, BentleyForbes, could no longer afford mortgage payments, <a href=”http://www.businessweek.com/news/2012-02-14/american-foreclosure-bottoms-at-atlanta-tower-auction-mortgages.html&#8221; target=”_hplink”>BusinessWeek reports</a>. BofA <a href=”http://www.huffingtonpost.com/2012/01/10/bank-of-america-plaza-foreclosure_n_1197040.html&#8221; target=”_hplink”>was a tenant in the building at the time</a> but had no other connection besides sharing the tower’s ironic name. Even while it promoted a February 2012 campaign to “fulfill” the “vision” of Martin Luther King Jr., <a href=”http://www.huffingtonpost.com/2012/02/07/helen-bailey-foreclosure_n_1260078.html?ref=foreclosure-crisis&#8221; target=”_hplink”>JPMorgan Chase threatened 78-year-old civil rights activist Helen Bailey with foreclosure</a>. The bank ultimately allowed Bailey to stay in her home indefinitely after Occupy Nashville helped bring national attention to the issue, <a href=”http://thinkprogress.org/economy/2012/02/14/425255/helen-bailey-foreclosure/&#8221; target=”_hplink”>Think Progress</a> reports. Despite being billed as “cosmopolitan living for ages 60+,” the luxury <a href=”http://www.huffingtonpost.com/2012/03/02/fox-hill-foreclosure_n_1314970.html&#8221; target=”_hplink”>Fox Hill Senior Condominiums was threatened with foreclosure</a> in March after its lenders said they were backing out. David Englett was charged with fines by the city of Arlington, Texas for not mowing the lawn of <a href=”http://www.huffingtonpost.com/2012/03/02/david-englett_n_1317276.html&#8221; target=”_hplink”>a house he had already lost to foreclosure years earlier</a>. Texana Hollis was evicted from her home due to foreclosure in September 2011, then <a href=”http://www.huffingtonpost.com/2012/01/22/texana-hollis-evicted-detroit-woman_n_1222452.html?ref=foreclosure-crisis&#8221; target=”_hplink”>denied a subsequent promise that she could move back in</a> by the U.S. Department of Housing and Urban Development. It wasn’t until April 2012 that <a href=”http://www.cbsnews.com/8301-201_162-57409700/texana-hollis-evicted-at-101-allowed-back-home/&#8221; target=”_hplink”>she was finally granted permission to return to the home</a> she’s lived in for 60 years. Dirma Rodriguez and her disabled daughter<a href=”https://editorial.huffingtonpost.com/entry/?blog_id=2&entry_id=1423883&#8243; target=”_hplink”> were forced to flee their home in minutes</a> after Bank of America sold it to a flipper at a foreclosure auction, even though the bank had already modified her loan. But not all hope is lost; Rodriguez may get her home back after the Occupy Fights Foreclosure movement intervened. Mortgage paperwork mess: Next housing shock? Play CBS Video Video The next housing shockAs more and more Americans face mortgage foreclosure, banks’ crucial ownership documents for the properties are often unclear and are sometimes even bogus, a condition that’s causing lawsuits and hampering an already weak housing market. Scott Pelley reports. Video Extra: Eviction reprieveFlorida residents AJ and Brenda Boyd spent more than a year trying to renegotiate their mortgage and save their home. At the last moment, questions about who owns their mortgage saved them from eviction. Video Extra: “Save the Dream” eventsBruce Marks, founder and CEO of the nonprofit Neighborhood Assistance Corporation of America talks to Scott Pelley about his “Save the Dream” events and how foreclosures are causing a crisis in America. (CBS News)If there was a question about whether we’re headed for a second housing shock, that was settled last week with news that home prices have fallen a sixth consecutive month. Values are nearly back to levels of the Great Recession. One thing weighing on the economy is the huge number of foreclosed houses.Many are stuck on the market for a reason you wouldn’t expect: banks can’t find the ownership documents.Who really owns your mortgage? It’s bizarre but, it turns out, Wall Street cut corners when it created those mortgage-backed investments that triggered the financial collapse. Now that banks want to evict people, they’re unwinding these exotic investments to find, that often, the legal documents behind the mortgages aren’t there. Caught in a jam of their own making, some companies appear to be resorting to forgery and phony paperwork to throw people – down on their luck – out of their homes. In the 1930s we had breadlines; venture out before dawn in America today and you’ll find mortgage lines. This past January in Los Angeles, 37,000 homeowners facing foreclosure showed up to an event to beg their bank for lower payments on their mortgage. Some people even slept on the sidewalk to get in line. So many in the country are desperate now that they have to meet in convention centers coast to coast. In February in Miami, 12,000 people showed up to a similar event. The line went down the block and doubled back twice. Dale DeFreitas lost her job and now fears her home is next. “It’s very emotional because I just think about it. I don’t wanna lose my home. I really don’t,” she told “60 Minutes” correspondent Scott Pelley. “It’s your American dream,” he remarked. “It was. And still is,” she replied. These convention center events are put on by the non-profit Neighborhood Assistance Corporation of America, which helps people figure what they can afford, and then walks them across the hall to bank representatives to ask for lower payments. More than half will get their mortgages adjusted, but the rest discover that they just can’t keep their home. For many that’s when the real surprise comes in: these same banks have fouled up all of their own paperwork to a historic degree. “In my mind this is an absolute, intentional fraud,” Lynn Szymoniak, who is fighting foreclosure, told Pelley. While trying to save her house, she discovered something we did not know: back when Wall Street was using algorithms and computers to engineer those disastrous mortgage-backed securities, it appears they didn’t want old fashioned paperwork slowing down the profits. “This was back when it was a white hot fevered pitch to move as many of these as possible,” Pelley remarked. “Exactly. When you could make a whole lotta money through securitization. And every other aspect of it could be done electronically, you know, key strokes. This was the only piece where somebody was supposed to actually go get documents, transfer the documents from one entity to the other. And it looks very much like they just eliminated that stuff all together,” Szymoniak said. Szymoniak’s mortgage had been bundled with thousands of others into one of those Wall Street securities traded from investor to investor. When the bank took her to court, it first said it had lost her documents, including the critical assignment of mortgage which transfers ownership. But then, there was a courthouse surprise. “They found all of your paperwork more than a year after they initially said that they had lost it?” Pelley asked. But what the bank may not have known is that Szymoniak is a lawyer and fraud investigator with a specialty in forged documents. She has trained FBI agents. She told Pelley she asked for copies of those documents. A.P.N. No. _________ (hereinafter “Subject Property”). 2. At all times herein mentioned, SAND CANYON CORPORATION f/k/a OPTION ONE MORTGAGE CORPORATION (hereinafter SAND CANYON”), is and was, a corporation existing by virtue of the laws of the State of California and claims an interest adverse to the right, title and interests of Plaintiff in the Subject Property. 3. At all times herein mentioned, Defendant AMERICAN HOME MORTGAGE SERVICES, INC. (hereinafter “AMERICAN”), is and was, a corporation existing by virtue of the laws of the State of Delaware, and at all times herein mentioned was conducting ongoing business in the State of California. 4. At all times herein mentioned, Defendant WELLS FARGO BANK, N.A., as Trustee for SOUNDVIEW HOME LOAN TRUST 2007-OPT2 (hereinafter referred to as “WELLS FARGO”), is and was, a member of the National Banking Association and makes an adverse claim to the Plaintiff MADRIDS’ right, title and interest in the Subject Property. 5. At all times herein mentioned, Defendant DOCX, L.L.C. (hereinafter “DOCX”), is and was, a limited liability company existing by virtue of the laws of the State of Georgia, and a subsidiary of Lender Processing Services, Inc., a Delaware corporation. 6. At all times herein mentioned, __________________, was a company existing by virtue of its relationship as a subsidiary of __________________. 7. Plaintiffs are ignorant of the true names and capacities of Defendants sued herein as DOES I through 10, inclusive, and therefore sues these Defendants by such fictitious names and all persons unknown claiming any legal or equitable right, title, estate, lien, or interest in the property described in the complaint adverse to Plaintiffs’ title, or any cloud on Plaintiffs’ title thereto. Plaintiffs will amend this complaint as required to allege said Doe Defendants’ true names and capacities when such have been fully ascertained. Plaintiffs further allege that Plaintiffs designated as ROES 1 through 5,000, are Plaintiffs who share a commonality with the same Defendants, and as the Plaintiffs listed herein. 8. Plaintiffs are informed and believe and thereon allege that at all times herein mentioned, Defendants, and each of them, were the agent and employee of each of the remaining Defendants. 9. Plaintiffs allege that each and every defendants, and each of them, allege herein ratified the conduct of each and every other Defendant. 10. Plaintiffs allege that at all times said Defendants, and each of them, were acting within the purpose and scope of such agency and employment. properties, when in fact they actually maintained no lawful interest in said properties. 12. Plaintiffs are informed and believe and thereupon allege that as a regular and ongoing part of the business of Defendant DOCX was to have persons sitting around a table signing names as quickly as possible, so that each person executing documents would sign approximately 2,500 documents per day. Although the persons signing the documents claimed to be a vice president of a particular bank of that document, in fact, the party signing the name was not the person named on the document, as such the signature was a forgery, that the name of the person claiming to be a vice president of a particular financial institution was not a “vice president”, did not have any prior training in finance, never worked for the company they allegedly purported to be a vice president of, and were alleged to be a vice president simultaneously with as many as twenty different banks and/or lending institutions. 13. Plaintiffs are informed and believe and thereupon allege that the actual signatories of the instruments set forth in Paragraph 12 herein, were intended to and were fraudulently notarized by a variety of notaries in the offices of DOCX in Alpharetta, GA.
14. Plaintiffs are informed and believe and thereupon allege that for all purposes the intent of Defendant DOCX was to intentionally create fraudulent documents, with forged signatures, so that said documents could be recorded in the Offices of County Recorders through the United States of America, knowing that such documents would forgeries, contained false information, and that the recordation of such documents would affect an interest in real property in violation of law. Interested Call our offices now!!! !